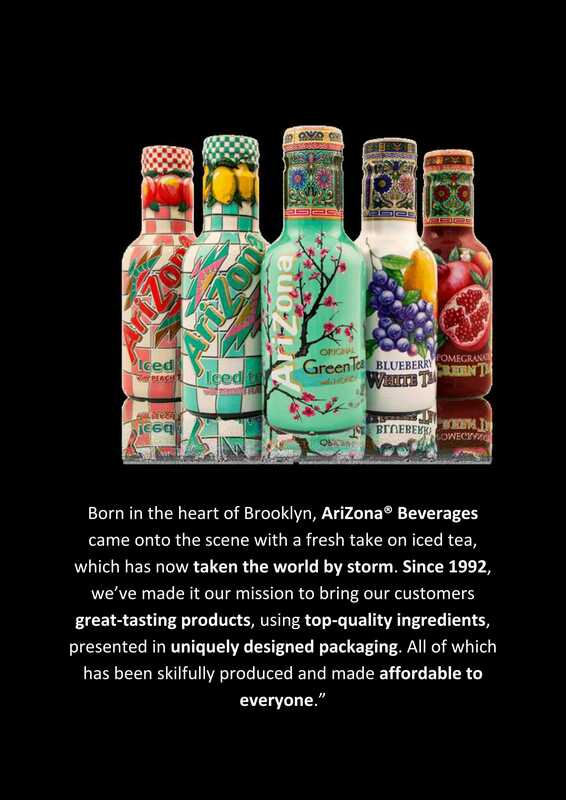 AriZona Iced Tea available now. Contact ABF for details. Flavours include Green Tea with Honey, Iced Tea with Peach, Iced Tea with Lemon, White Tea with Blueberry and Green Tea with Promegate.